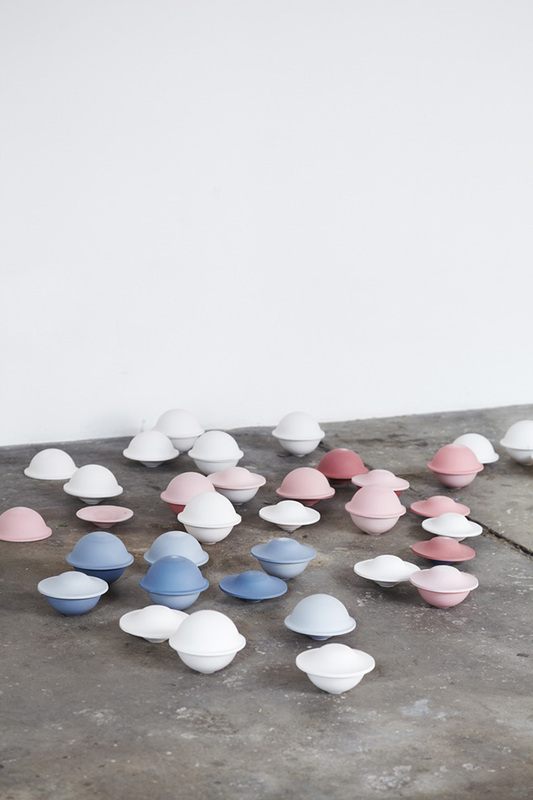 VASES designed by Milia Seyppel. Photo by Julian Mährlein. I think we can all agree that in the initial stages of the design process, and probably in a creatives career, most are concerned with form over colour. The role of colour deepens as we evolve, becoming a fundamental part of any object or project. At the moment I’m drawn to natural colours, probably because of their familiarity, but I’m certain using colour in the right way can enrich our lives. Saying that, I feel colour sense is something that’s self-taught through many hours of experimentation. One individual who’s been experimenting with colour in what you might call an “architectural way” is German based designer Milia Seyppel. 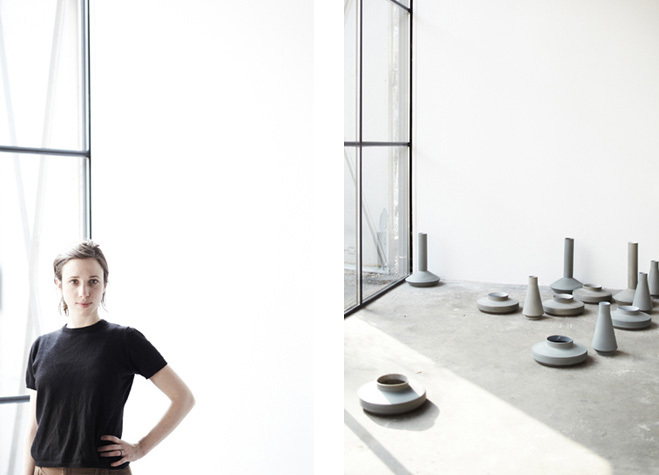 Milia has a way of designing ceramics that remind me of buildings, structural with the use of sharp edges and straight lines (seen above in her VASES collection for Karakter Copenhagen). A contrast to her newest collection titled Chapeau designed for Lyngby Porcelain, which functions as a storage container, these are smooth and round. They also involve a mixture of tones, like blue and pink, which are really vibrant and eye-popping. When it comes to projects like this I’m always torn between industrial and handmade. Ideally each has their own place in society, but it’s also nice to challenge the status-quo and unite them in some manner. I think her vases are quite an achievement as they just creep in to this hazy middle ground, obviously each one is re-produced, so they’re industrial in that manner, but all are uniquely formed, burned, polished and refined by hand. This leads to something that’s both individual and different from a lot of the goods already out there. I collected some imagery of Milia and her two collections, but I’d recommend browsing her portfolio if you have a spare minute. She’s definitely a talent. Milia Seyppel Portrait. 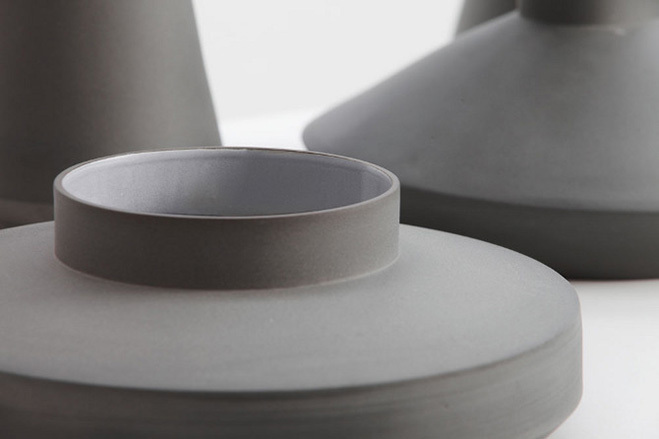 VASES collection produced by Karakter Copenhagen. Photos by Janne Peters. Chapeau in porcelain white designed by Milia Seyppel. Photos by Janne Peters. 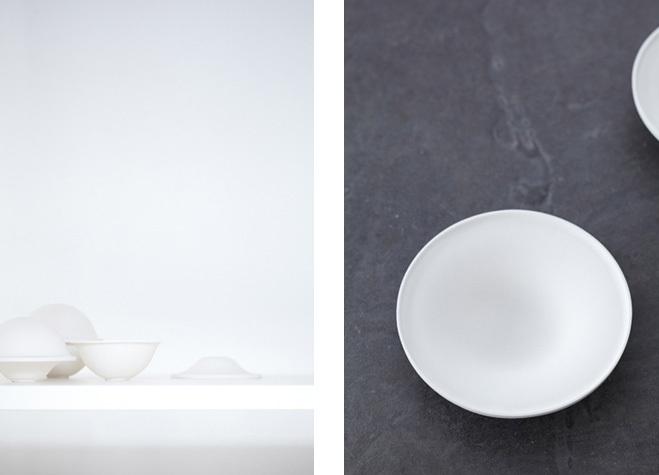 Chapeau produced by Lyngby Porcelain, three colours in different tones. Photos by Janne Peters. 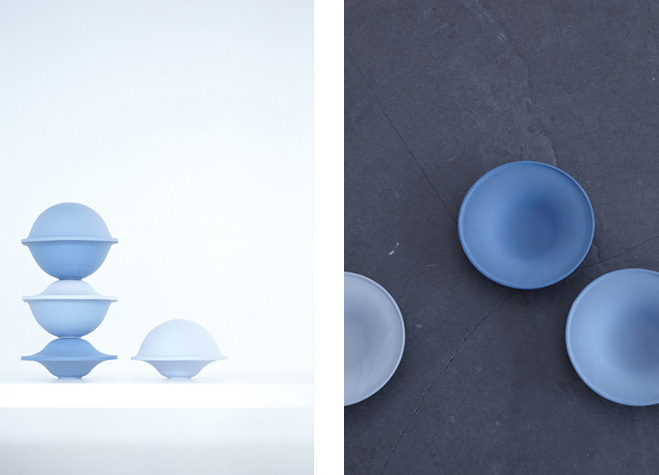 Chapeau series in bright blue, a set of porcelain bowls that can be used to store food. Photos by Janne Peters. 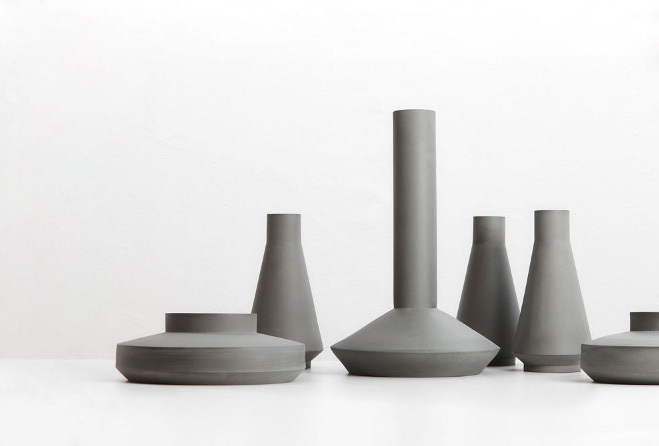 VASES featuring straight lines, sharp edges, clear shapes and a grey, velvety surface much like concrete or stone. Photo by Julian Mährlein. 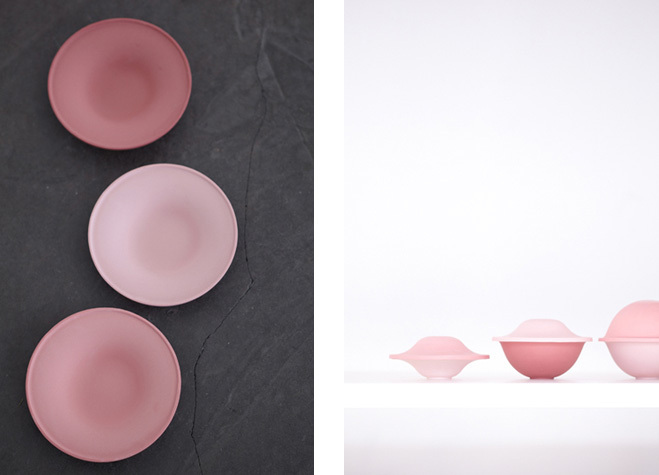 Chapeau series in a shade of pink produced by Lyngby Porcelain. Photos by Janne Peters. 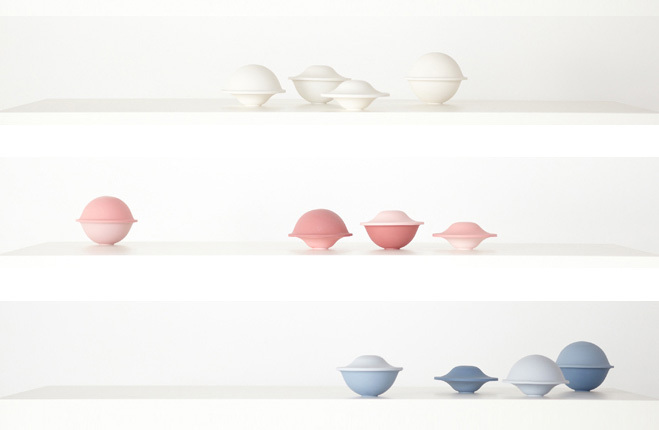 Objects from the Chapeau series produced by Lyngby Porcelain. Photos by Janne Peters.